Workforce L&D 2019: Captivate. Motivate. Educate. Take advantage of Advanced Early Bird Pricing! $200 savings ends June 15, 2019. Want to attend HR Comply, Workforce L&D, AND RecruitCon in Fall 2019? Register for the HR World PowerPass and pick and choose your sessions across all 3 conferences. Register Today! In this years L&D landscape, one thing is absolutely clear: enterprises of all sizes are now considering eLearning as a solution to their budget and productivity- related issues, and they are now more than ever, embracing new learning and training tools. This is why, according to Brandon Hall Group, L&D leaders will allocate future budgets to stay in line with company growth goals. 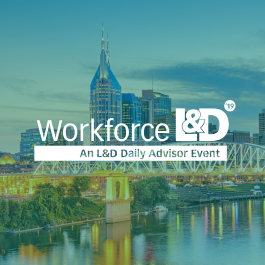 At Workforce L&D 2019, you’ll learn from the nation’s top learning and employee engagement professionals how to build a superior professional development program that supports business growth, innovation, and workforce retention. Uncover the latest technologies available to support L&D initiatives, from augmented and virtual reality to apps and more! This intensive day-long workshop provides substantive instruction on FMLA compliance in light of new and existing regulations, court rulings, and application of this far-reaching law. Through attorney-led instruction, you’ll engage with workshop peers to solve day-to-day challenges concerning intermittent leave, return to work, employee performance, and much more. 7:00 a.m. to 7:55 a.m.
7:55 a.m. to 8:00 a.m.
LXP vs. LMS: Are You Ready to Evolve Your eLearning? Learning experience platforms (LXPs) are gaining popularity in the corporate learning space. But, in what ways are they poised to enhance or replace today’s learning management systems (LMSs)? Our Workforce L&D Trends Talks segment kicks off by examining the benefits and optimal use cases for LXPs to compliment or, in some cases, replace LMS. How often should you train the workforce on what they can do to mitigate or altogether prevent cybersecurity risks? Does your workplace culture foster or hinder your efforts to keep sensitive and confidential data safe and secure—and how can you tell? What are the most effective training methods for thwart cybersecurity risks right now? And, what “bad behaviors” is your workforce engaging in that could be putting your company at grave risk for a cybersecurity attack? This talk will answer these questions and more. Professional development opportunities position employees to contribute to your underlying mission in more meaningful ways, and they can be a tremendous asset in fostering a healthy recruiting and retention strategy. This talk will reveal how to develop and communicate a strong message through which current and potential employees will better understand and truly appreciate the overall benefit your training-related programs can provide for them. 10:10 am. – 10:25 a.m. The organizational structures of yesteryear focused on who does what. That is, each team had a mission and it was up to L&D to determine which functions employees needed to be trained on and then to build training to assist them in meeting those goals. But, nowadays, it’s a different story: Organizational charts are, in some cases, going way, and business priorities are shifting, often a few times a year. Also, with the rise of gig and contingent employment, real-time developments in talent and performance management require real-time L&D responsiveness. But, how can you ensure that your L&D efforts provide the necessary resources to develop skills when they’re needed? And, how can you use your L&D to help measure performance? This Trends Talk will provide real-life success stories of L&D agility to demonstrate how training can appropriately support talent management in today’s everchanging business world. This session will provide a framework for training your supervisors and managers to address negatively, incivility, and disrespect in a way that reaps favorable cultural results. You’ll learn what frontline managers should do to manage their teams, so they can resolve day-to-day conflicts, potentially violent outbursts, and otherwise damaging and negative behaviors in a constructive and proactive way. You’ll gain a comprehensive roadmap for delivering preventative training so managers are well poised to address conflicts and incivility before they snowball out of control. And, you’ll learn how to train supervisors and managers on what to be on the lookout for in cases where employee’s arguments, rants, violent outbursts, or otherwise disruptive behaviors should be escalated to HR, so you can avoid claims stemming from alleged harassment, bullying, or workplace violence. Learning style inventories are designed to help figure out the type of learning style to which a particular learner best responds. Once you crack the learning-style code, you’ll be in a far better position to design instruction based on that given learning style, which, in turn, will enhance the corporate learning process in general. This session will explore various types of learning style inventories (LSIs), including Kolb’s LSI and other relevant LSIs, to provide you with a roadmap so you can develop learning frameworks best suited for your workforce’s learning preferences. 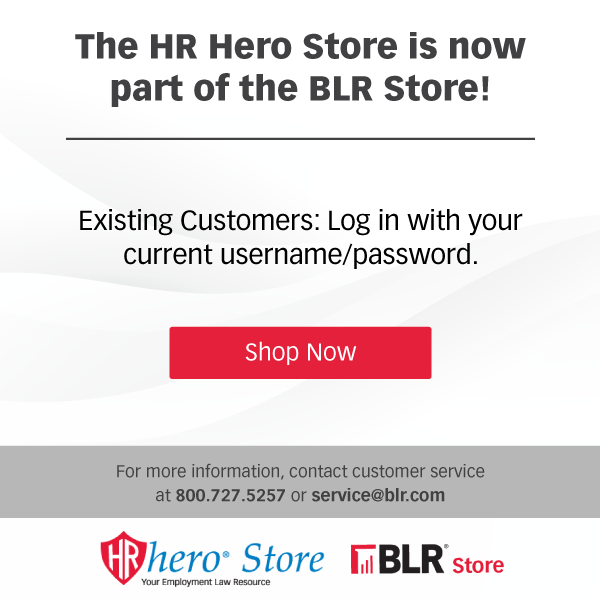 Learn how HRHero.com can help you achieve training success! 9:15 am. – 10:30 a.m. Organizations that utilize mentors position their workforce for more success. For instance, mentees are better positioned to receive critical professional development training that translates into improved engagement and retention in many cases, especially for high-potential employees. And, for the mentors, they’re bolstering their leadership skills. But, having a mentoring program in place is only part of the L&D pie. Organizations must be able to objectively measure whether their mentoring program helps them achieve their business and learning goals. This session will examine how companies can evaluate the ways in which their mentoring program(s) could be improved to ensure that learning goals are really being reached. 10:45 a.m. – 11:45 p.m.
What are the latest trends at the intersection of learning and technology? And which tools and products are proving to be the most effective for addressing the workplace of today’s top e-learning challenges? This session will take a deep dive into how some of the newest and most popular technologies, such as microlearning, blended learning, and extended reality, can be used to improve e-Learning.